When authorities seized a diplomatic pouch at the port in Naples, they weren't expecting to unearth a plot more suited to an Indiana Jones movie. The pouch â" which was discovered in March last year â" hid an eclectic assortment of Egyptian antiquities: colourful Pharaonic mummy masks, nearly 200 small artefacts and more than 20,000 coins. The loot had been stolen from Egypt and it was clear that powerful and connected individuals were involved. Smuggling of antiquities is a trade nearly as old as the artefacts themselves. But for Egypt, the trade has escalated since the Arab Spring and social media made it easier to access hidden treasures. The crisis is so bad it can be seen from space. 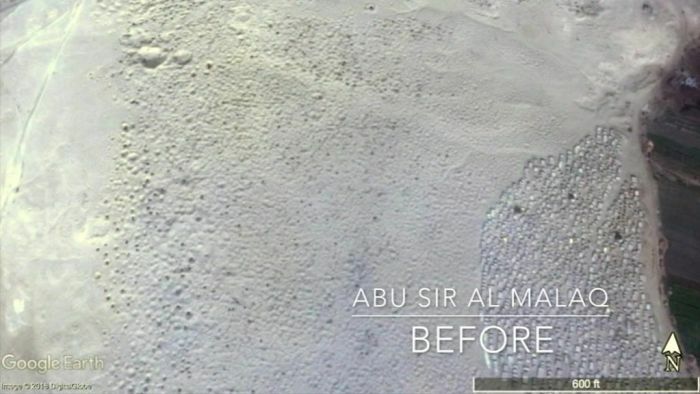 Satellite imagery of archaeology sites before and after they were looted show massive craters in the ground where artefacts have been stolen. And there is bi g money involved: the US-based Antiquities Coalition has estimated that since 2011, US$3 billion worth of Egyptian antiquities has been illegally smuggled abroad. 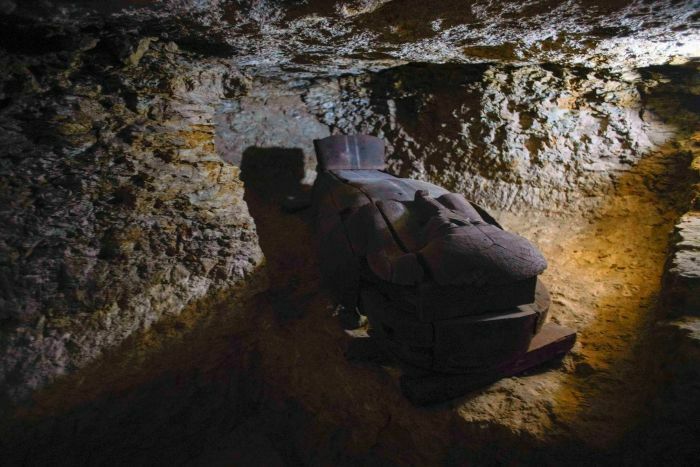 Exactly how much has been stolen remains largely unknown. 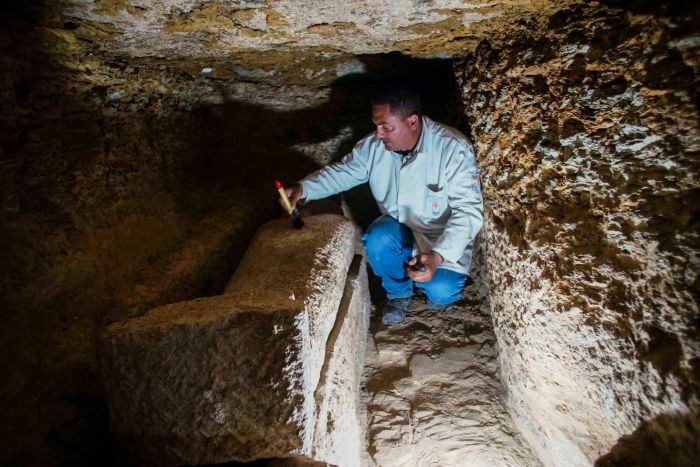 Some Egyptologists, including the divisive and flamboyant former antiquities minister Dr Zahi Hawass, believe that only about 30 per cent of ancient Egypt has been unearthed, which means that many items were never officially registered. Even today, digging turns up previously undetected millennia-old antiquities. "Modern Egypt is built upon ancient Egypt, so people can dig in the courtyard of their houses and find antiquities," says Dr Hawass. Unrest in Egypt in the past seven years has brought an uptick in illicit trading. When the Arab Spring protests of 2011 unseated president Hosni Mubarak from power after 30 years of dictatorial rule, the police state crumbled too. 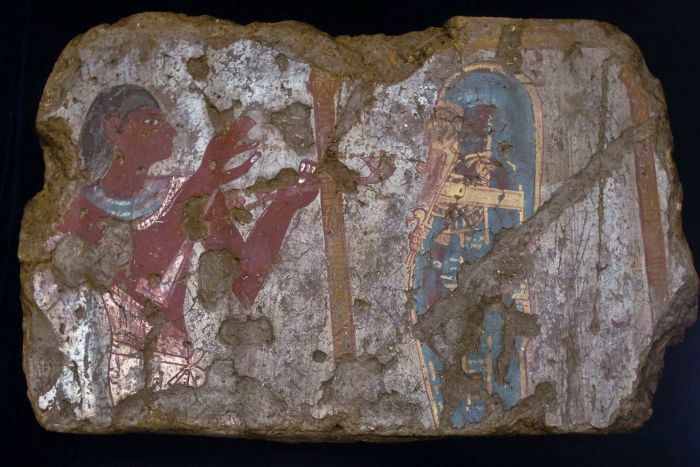 Hundreds of antiquities sites from the Pharaonic, Coptic and Islamic eras and museums were left largely unguarded, and raiders swooped in to loot them. The treasures were passed to the lucrative international antiquities black market through Egypt's international ports or porous borders. Many of the antiquities end up in Europe and the United States with private collectors â" by far the largest market for Egyptian goods â" but also elsewhere in the Middle East, Asia and even Australia, according to Shaaban Abdel-Gawad, the head of the repatriation department at the Ministry of Antiquities. "It's a global trade a cross the whole world," he says. Katie A Paul from the Antiquities Coalition recently conducted a six-year study on the illegal antiquities trade in Egypt. Her analysis of government reports as well as social and traditional media revealed there have been about 2000 seizures of Egyptian antiquities in ports globally. Traffickers range from the large and well-armed gangs in organised trafficking networks who overrun guards at antiquities sites, to individuals in villages who make a lucky find on their property and sell to a middleman or the local mafia. "A lot of the individuals are economically desperate, and it is a symptom of a larger economic issue with the downfall of tourism after the revolution," Ms Paul says. Social media has also played a significant role in resurgence of the illegal trade. A Facebook page created in 2016 to crowdsource information on how to do your own illegal excavation has attracted more than 50,000 members in a year, according to Ms Paul. 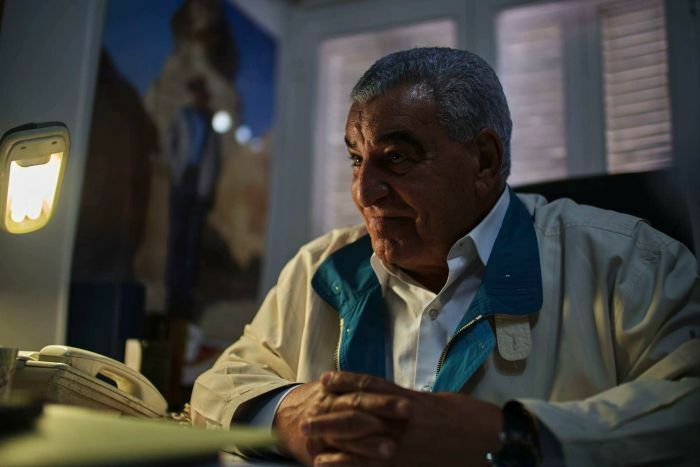 Egyptian authorities have also been accused of having a hand in the smuggling process, including Dr Hawass. He was taken to court in relation to smuggling and corruption in 2013, but cleared of the charges. "This is what weak people say, that officials were involved. There is no official involved in smuggling," he says. 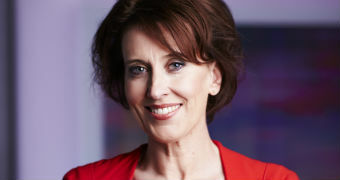 A foreign archaeologist, who spoke to the ABC on condition of anonymity, said they suspected inspectors were involved. "Sometimes I'm sure that inspectors are complicit, and the police are frequently complicit and in some cases the military is complicit because they fly things out in military planes," the archaeologist says. In the past, there were far fewer barriers to looting and smuggling. Many antiquities were gifted to countries during the colonial era â" such as the Luxor Obelisk that now stands in Paris â" or simply taken out of the country because there were no laws in place. But that has changed in the past few decades. In 1970, a UNESCO Convention was signed to prevent the smuggling of cultural property. In Egypt specifically, the Protection of Antiquities Law was passed in 1983. Today, the law stipulates mandatory jail time as well as fines between 50,000 Egyptian pounds ($3900) and 500,000 Egyptian pounds. But that doesn't help with many past removals. There is often little legal recourse when it comes to antiquities taken decades ago. Perth woman Joan Howard caused a stir in Egypt last year, when she showed off her enormous antiquities collection to Australian media. As the wife of a UN diplomat based in the Middle East in the 1960s and '70s, Mrs Howard spent much of her time collecting antiquities all over the region, including Egypt. With diplomatic privileges and lax local laws, she was able to take them back to her suburban Perth home. The Egyptian authorities were not impressed. "It's insane," Dr Hawass says. "I don't believe she has a right at all to have antiquities in her home." 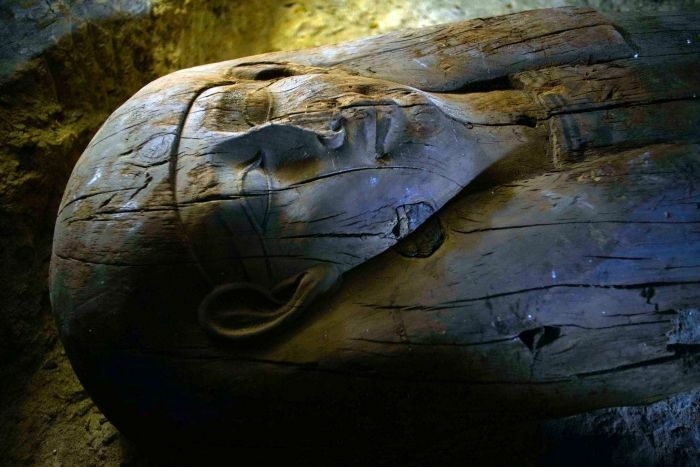 Egypt's beefed-up antiquities ministry made an official complaint to the Australian embassy in Cairo. However, the Australian Department of Communications said in a statement that since Mrs Ho ward's collection was imported before the Protection of Movable Cultural Heritage Act 1986 came into force, there is no legislative basis for the Australian Government to take any action. Joan Howard's daughter told the ABC her mother had been completely cleared, vehemently denying she had done anything illegal. It seems like almost every week there are celebratory headlines in Egypt of another batch of antiquities being returned. Mr Abdel-Gawad says 1600 pieces have been repatriated since 2011, including 1000 just in 2016, thanks to a slew of agreements with other countries. The loot discovered in the diplomatic pouch in Naples was repatriated in June and briefly displayed in the Egyptian Museum. 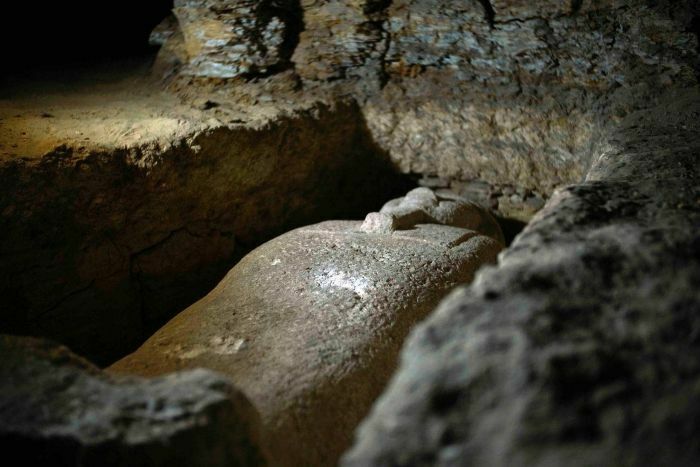 Mr Abdel-Gawad told Egypt Today it seemed likely the artefacts were stolen from excavation sites. But, like most of the pieces being returned, they are small and less likely to draw in big crowds to museums than some of the more high-profile lost treasures. "One of my dreams is to repatriate back the head of Nefertiti, as well as the Hemiunu, the engineer of the Great Pyramid, and the Rosetta Stone from the British Museum," Mr Abdel-Gawad says. But that might not be easy considering that many of the most famous pieces were taken from Egypt legally under the laws of the day and foreign museums have often been unwilling to give back some of their biggest draw cards.